The Beauty Salon Industry in India has seen phenomenal growth in the past few years. With the increased demand of beauty awareness and coming of International Beauty Brands in the Indian Market. The beauty industry is a 10,000 crore business in India, the salon business amounts to 5,000 crore making it one of the fastest growing industries recording an all time high of 400% last year. Here is a list of the most popular Beauty Salon Chains in India. Lakme is an Indian Brand of Cosmetics owned by Unilever. Lakme is one of the most trusted name in the world of beauty in India and all across the world as well. 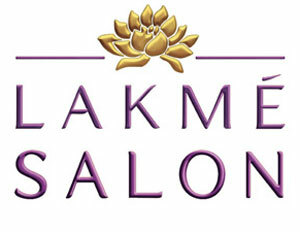 Lakme operates India’s first and leading chain of Lakmé Studios and Salons that offer expert services. Lakme has about 10 Lakme Studios and 122 Lakme Salons at premium locations in 34 cities, providing beauty services. The History of Lakme Brand stretches back to the time when the Beauty Industry in India was watching its inception. Since then Lakme has grown to be a leader. Lakme Beauty Salons offer, Hair Care, Skin Care, Hand and Feet Care, Bridal Services. All the services have been designed keeping Indian beauty trends and need in mind. Jawed Habib is one of the leading hair & beauty salon chains in India. The company currently operates a total of 322 outlets across 21 states and 83 cities in the country. The company is promoted by Jawed Habib, a renowned Hair Expert who started the comapny with a vision to provide quality hair styling and beauty services to the wider populace of the country. Jawed Habib salons offer a full range of hair and beauty services carrying the hall mark of quality that is synonymous with Jawed Habib. The ambience of the salons reflect the passion and warmth of Jawed Habib. When you walk into one of the Jawed Habib salons, the ambience and personalised services ensures client satisfaction. Shahnaz Husain is the pioneer and leader of herbal care in India. She has taken India’s Ayurvedic tradition to every corner of the globe. The Shahnaz Husain Group is India’s leading company in the field of natural beauty and anti-aging treatments. Started in the 1970s by Shahnaz Husain in New Delhi, the group has over time vertically integrated to encompass every aspect of Ayurvedic care and cure. 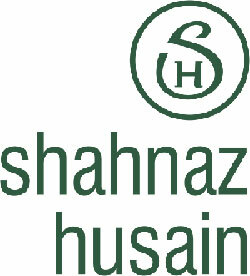 Shahnaz Husain runs over 200 salons and spas worldwide offering herbal beauty treatments and Shahnaz Husain products. 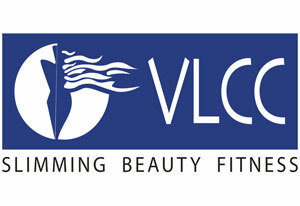 VLCC was founded by Mrs. Vandana Luthra in 1989. VLCC has revolutionsed the beauty and wellness industry with a presence of 300 locations across 109 cities in 9 countries namely India, UAE, Oman, Bahrain, Qatar, Kuwait, Sri Lanka, Bangladesh and Nepal. VLCC is widely recognized for its scientific weight loss solutions and its therapeutic approach to beauty treatments. The VLCC Personal Care Line consists of over 100 skin-care, hair-care and body-care products retailed from 10,000 outlets through over 150 distributors, providing solutions for skin care, Body firming and Shaping, Foot Care, Hair Care, Pain Relieving. 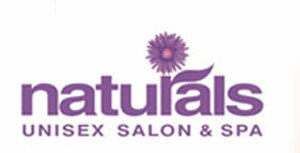 Naturals, the name is synonymous today with beauty care and styling in India. With 114 salons dotting the busiest areas in South India and atleast 4 new branches getting operational every month, Naturals is acknowledged as the most happening chain of beauty care centers in India. Unisex salon is a concept popularized by Naturals and has today become the fastest growing salon chain in the country. Moreover Naturals has created and perfected a franchise system which has proved to be a successful business model, spelling a win-win situation to all partners. 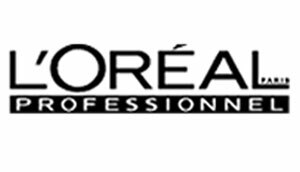 L’oreal Professionnel offers exclusive education courses, the most innovative products, fantastic artistic opportunities, business building initiatives and most importantly, a commitment to being your hairdressing partner. L’Oréal Professionnel combines a passion for fashion with the most innovative technology, forming strong links with top designers, photographers, and beauty and fashion magazines, to raise the profile of the hairdressing industry. More than a hundred years later, L’Oréal Professionnel has continued to provide one of the strongest educational programmes in the entire beauty and hairdressing industry. Star & Sitara is a unique beauty salon for men and women which aims to democratize salon services for easy access to all and deliver quality service at very affordable prices. Star & Sitara, evokes a theme of Bollywood and promises to make you a Star. Star & Sitara provides all skin and hair related beauty service. The salons are spacious and the atmosphere relaxed. Men, women and children can easily find a service to cater to their need. But the focal and niche element of Star & Sitara is the affordable and attractive pricing. Recently, Fitness chain Talwalkars Better Value Fitness Ltd has announced its 50:50 joint venture with Pantaloon Retail Ltd to acquire Star & Sitara. Affinity is a chain of unisex salons that are swanky and classy providing international standards for hair and beauty treatments. The first of Affinity’s ten well established centres was started in Delhi’s posh Green Park market area by Vishal Sharma. Established in 1992, the branch set standards that have since become bench mark for many to follow. And the Green Park success was repeated by Vishal Sharma with 16 different salon centres in Delhi by the same name. Sophisticated and experienced staff combined with luxurious and upmarket interiors clubbed with international range of beauty products-make Affinity salons what they are. Each outlet has multiple hair stylists, who are all regularly trained at Vidal Sasson London and Tony and Guy’s training centres in Singapore, London and Japan. Green Trends Hair & Style Salon are pioneers in offering full range of grooming solutions for value conscious consumers. Green Trends offers trendy haircuts and color services, complete skin care solutions and bridal packages, at affordable rates. Equipped with the knowledge on a wide variety of professional hair & skin care products, the well trained professional stylists provide friendly service. Green Trends is owned by Trends In Vogue Pvt. Ltd., a CavinKare Group company. At Green Trends, you can find world class haircare brands, like Loreal, Matrix, Wella, Schwarzkopf and many more. Strands Salons Pvt. Ltd. a leading salon chain having salons by the name of Strands (flagship of Matrix america’s Number 1 salon brand) and Strands Lounge (collaboration of L’Oreal) has been immensely successful needless to say, being an associate to huge brand like “L’Oreal” and “Matrix”. The company is growing in leaps and bounds and so is the urge to outdo the meaning of the word “Attractive”. The salon provides a vast range of skin, beauty, hair, make up and spa treatments by artists trained by experts from L’Oreal, Matrix and Strands Academy. This wide range is complemented with technically perfect products to leave the customers totally satisfied. Other popular Beauty Salon Chains in India include YLG Salon & Spa, Looks Salon, LimeLite Unisex Salon, Saks Hair & Beauty, Kaya Skin Clinic, [V] Juice Lite, DermaRx, Femina Plus Beauty Salon & Spa, Jean Claude Biguine, Regis Salons, Aroma Magic Salons, Matrix Salons, Lifestyle Hair & Beauty Salon.